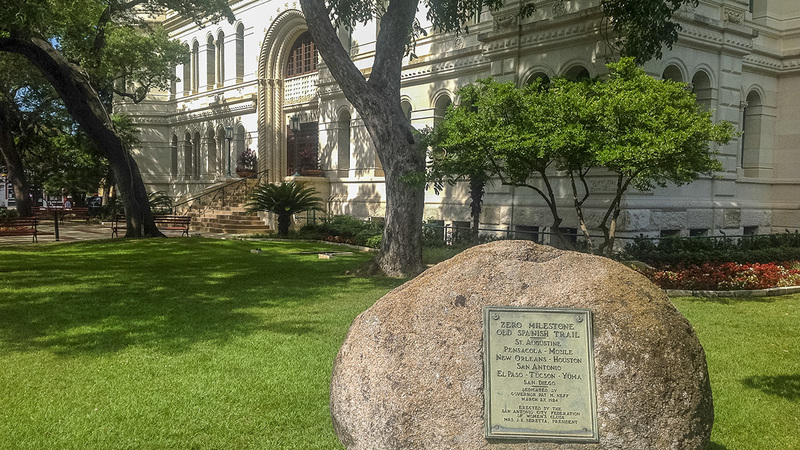 Located to the west of Main Plaza beyond the San Fernando Cathedral, this approximately two-acre landscape was established in 1722 as a parade ground and open-air market for soldiers garrisoned at the Presidio San Antonio de Béxar, the colonial Spanish fort built to protect the area’s missions and colonial territory (and predecessor to the City of San Antonio). 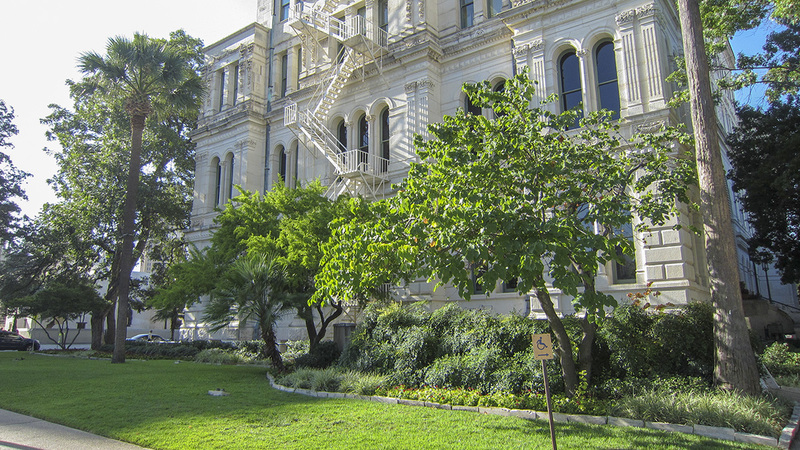 It remained an open square until 1891 when City Hall, designed by architect Otto Kramer, was constructed at its center, occupying most of the site. 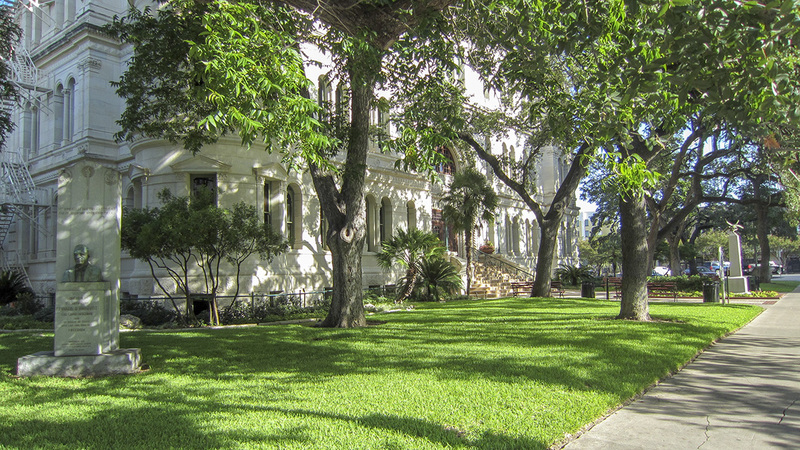 Manicured grass, beds of native perennial plantings, mature live oaks, and sabal palms surround the four-story Italian Renaissance Revival structure. 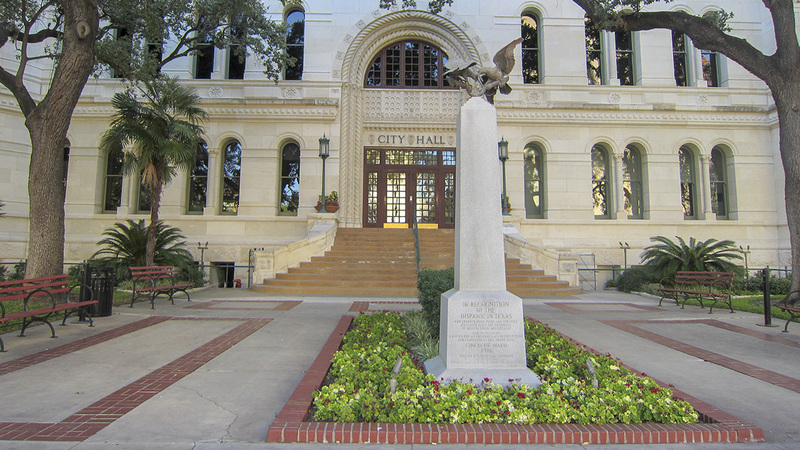 An obelisk topped with Mexican and U.S. eagles occupies a rectangular planting bed in front of the eastern, main entrance. 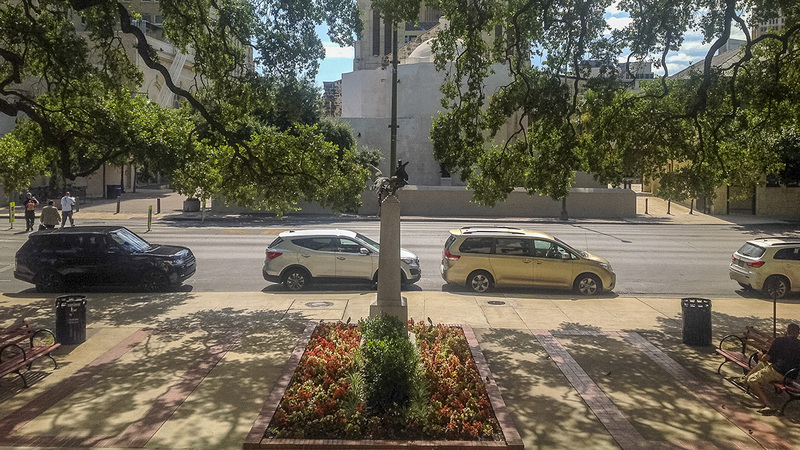 Several other monuments are placed throughout the square, including a granite milestone in the northeast corner denoting the zero-mile mark for the Old Spanish Trail. 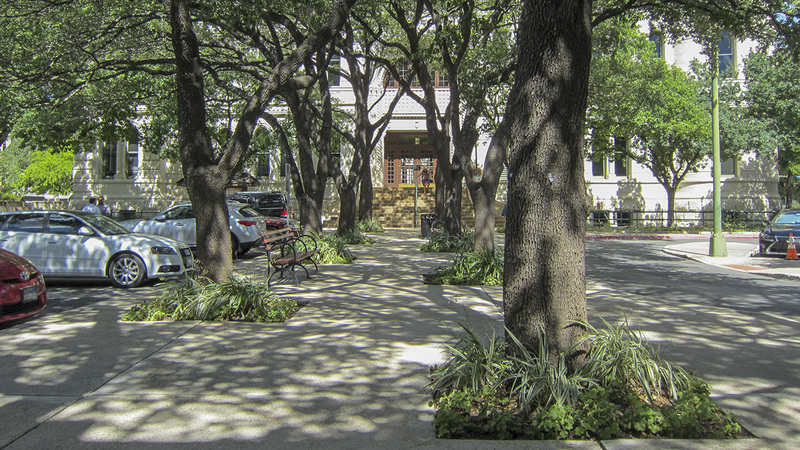 The last surviving remnant of the presidio (fort), the adobe Spanish Governor’s Palace (listed in the National Register of Historic Places and designated a National Historic Landmark in 1970), is connected to the west side of the plaza by a pathway shaded with staggered live oaks. 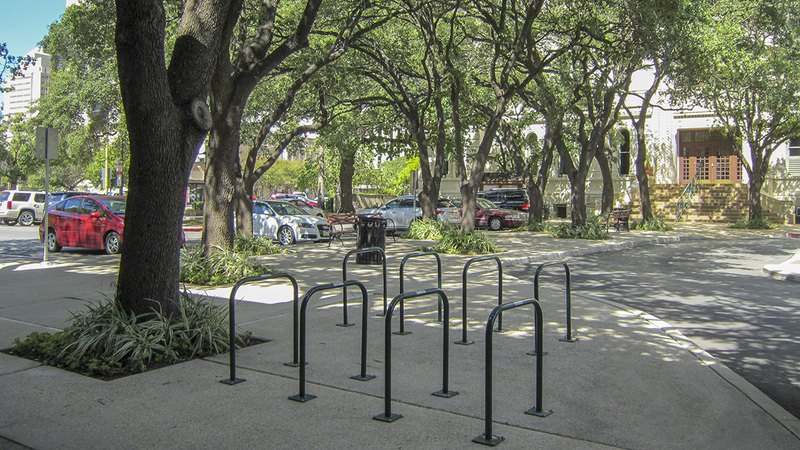 The square is integrated into the downtown street grid, with other government and commercial buildings surrounding it on the north, south, and east sides. 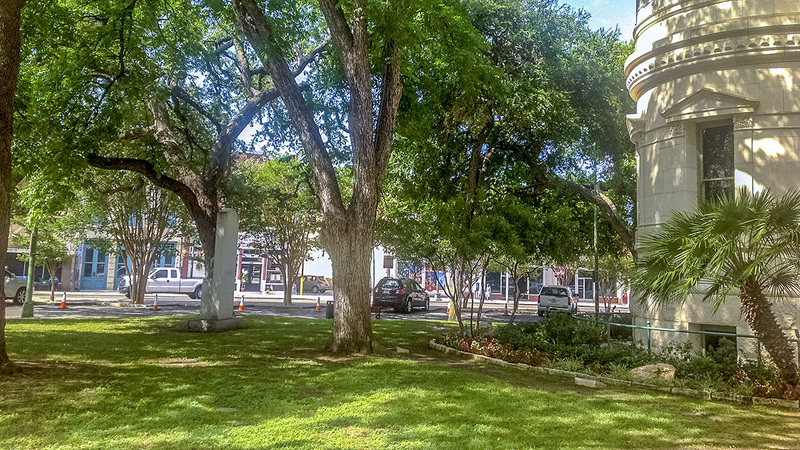 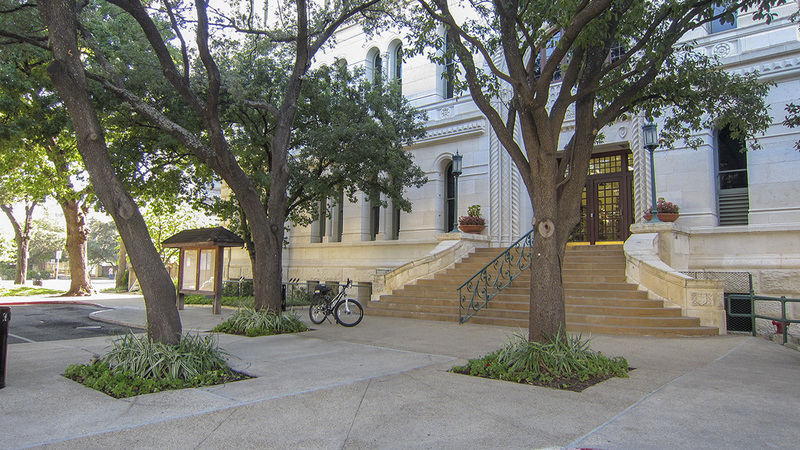 Military Plaza is a contributing feature of the Main and Military Plazas Historic District, listed in the National Register of Historic Places in 1979.